This skillet was my grandmother's, and as near as I can tell is from the 1950's. It is well-seasoned, and back in those days they created them a tad thinner and smoother than they do today. 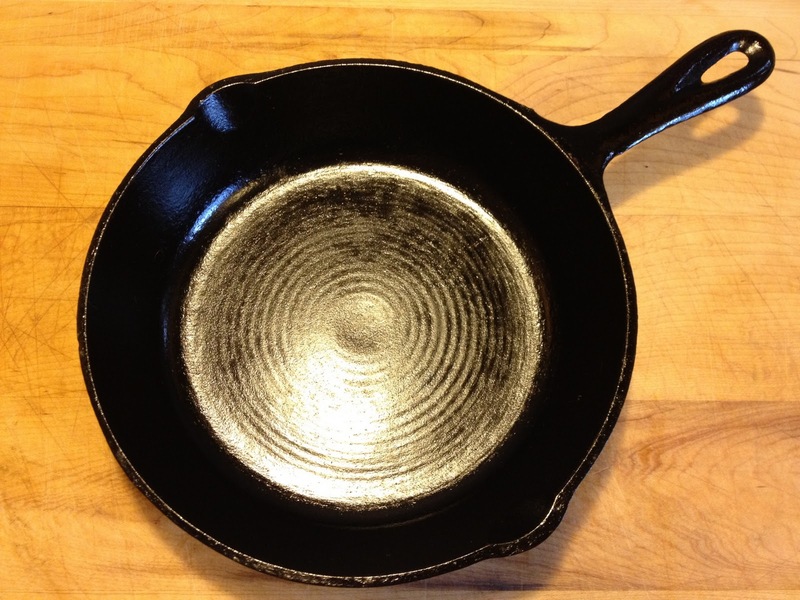 This skillet is perfect for frying one or two eggs, toasting walnuts or pine nuts in the oven, cooking a grilled cheese sandwich, or making a single quesadilla. The outside top diameter measurement given below is typically how cast iron skillets are listed by their manufacturers. This one is also listed as a "No. 5" on the bottom. It is equivalent to a Lodge "L5SK3" skillet.